This family-oriented resort just reopened on July 15th, 2017, following a complete renovation of the entire facility. 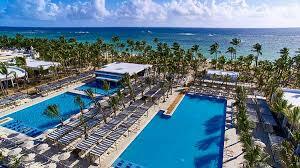 The hotel is nestled within our Punta Cana complex on Arena Gorda Beach and now offers a variety of entertainment for adults, interconnecting family-friendly rooms and free entrance to Splash Water World aquatic park. Jubilee Travel will help you plan your trip to La Altagracia.